As sports go, skiing is superb fun. But away from perfecting carving turns or mastering those moguls skiing offers a multitude of subtle but important experiences that can greatly affect your children’s outlook. At its fundamental skiing represents just about the most fun way of getting some exercise. Using skiing to encourage your children to develop a sense of how physical exercise can be fun and not a chore is a great tool to ensure they lead a healthy and active lifestyle. Skiing is a dynamic low impact cardio based sport that is particularly suitable for children as there are no large forces placed on their growing bones and joints. The high alpine vistas that make up the majority of ski resorts represent some of the most spectacular scenery found on earth. Skiing allows your child to experience and interact with nature in a way that just isn’t possible in inner city suburbs. The scale and beauty of the mountain environment fosters a respect and love for nature that they will carry throughout their lives. Skiing down a mountain, soaring like a bird while dashing through the snow is an expression of freedom that cannot be recreated in a classroom. As your child’s skiing improves they will benefit from the confidence of having the independence to ski where and what they want. More than anything, exploring the mountain is a huge adventure in a world where adventure is hard to find. When you put your child in a group lessons they will be placed with other children of similar age and ability. Through the process of learning and having fun together children of all ages will improve their social skills interacting with others in a fun environment and often form very strong friendships during a weeks holiday. A good instructor will be an expert in creating a strong group dynamic. When you combine all the above it is easy to see why skiing is such a popular and addictive past time. Hopefully it will nurture a life long passion for sport and the outdoors that your children will carry in to their day to day life. 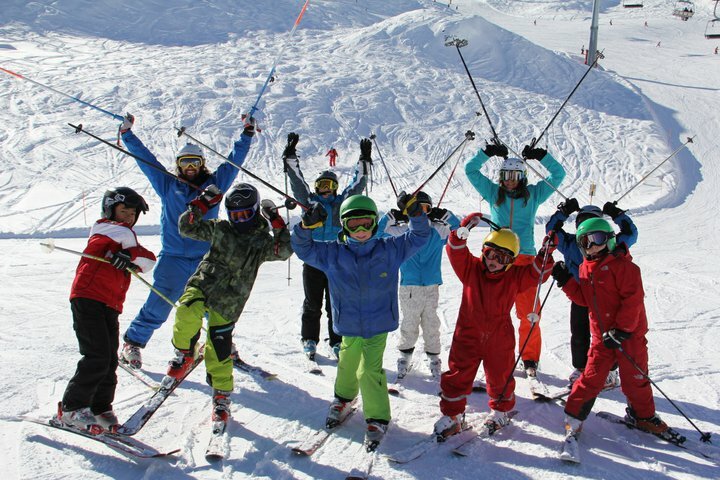 You never know, they may choose to be ski instructors and teach the next generation all about the benefits of an alpine lifestyle!